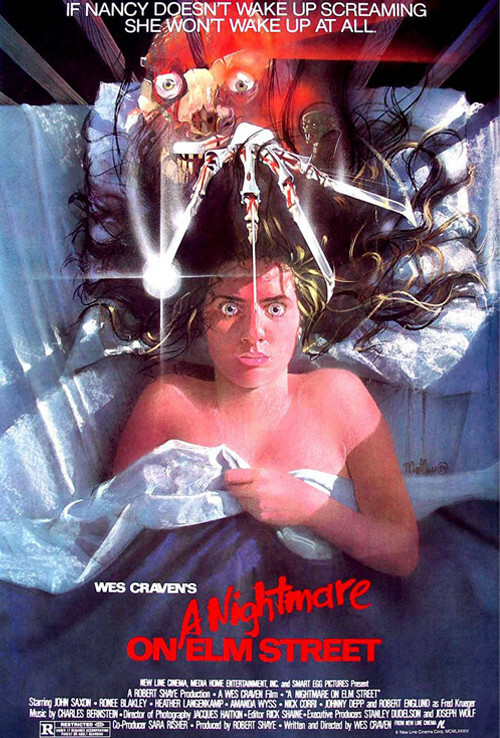 Join the Pumpkin Poops for the last time until next October as they watch and discuss Wes Craven's 1984 film A NIGHTMARE ON ELM STREET! This week's movie was Jessica's pick. Join Dustin and Jessica as they chat about the origin of Freddy Krueger, why this film is more than just a slasher flick, and how it stacks up to the 2010 remake! Be sure to subscribe to Popcorn Poops on iTunes and Stitcher, where you can also leave a rating and review. Remember, five-star reviews will be read on the show! Follow the program on Twitter and Facebook, where you can receive updates about the podcast and hints as to what movie will be covered next! The Popcorn Poops YouTube channel is coming along slowly, but you can check out a few episodes over there right now. If you want to support the show, please visit Audible for a free audiobook and 30-day trial of their services. You've honestly never seen a Purina Cat Chow comnercial? They were everywhere in the 80's. You must look them up and owe an apology to pop culture. Love the podcast, keep it up.